Eight exhibitions in the new building of the Garage Museum of Contemporary Art, Soviet posters in The Jewish museum and a retrospective of one of the brightest contemporary artists in Russia – here is our review of the best exhibitions that have recently opened in Moscow. Alexander Dobrovinsky is a famous lawyer, essay writer, art and relic collector. One of his most rare collections is fully dedicated to the Russian and Soviet posters of beginning of the 20th century. This collection of graphic art works counts more than five hundred unique posters. 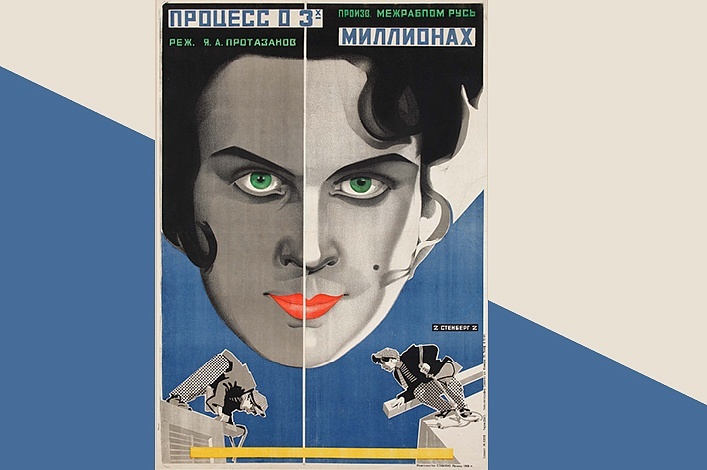 There are classical advertising samples and first Soviet movie posters that served as a platform for radical art experiments. More than 200 posters created by 34 artists (V. Kandinsky, A. Rodchenko and V. Mayakovski, N. Gontcharova, A. Deineka and others) will be exhibited at the Jewish Museum and Tolerance Center. 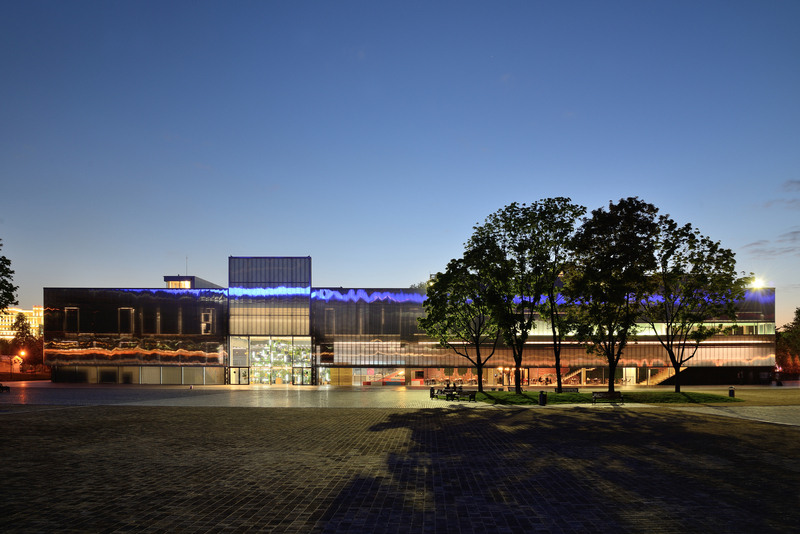 Garage Museum of Contemporary Art celebrates the completion of its Rem Koolhaas-designed Garage new building with eight new exhibitions. 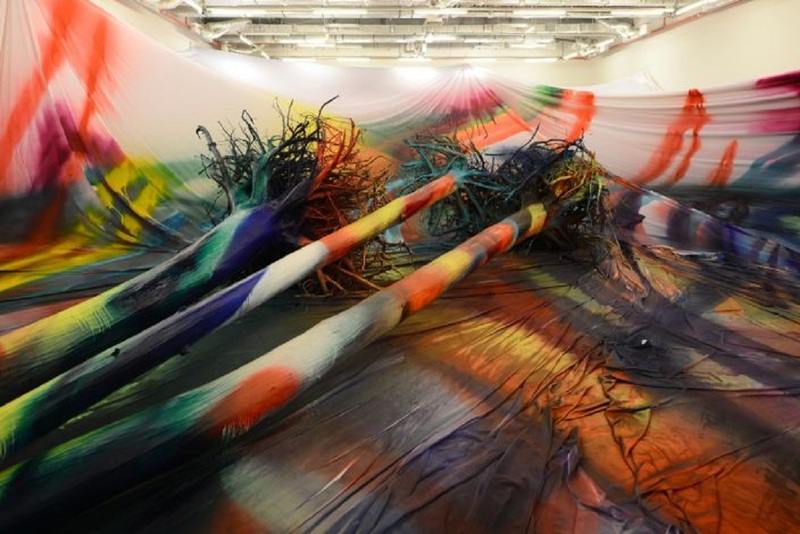 Thus, challenging perceptions of what painting is, the installation Yes No Why Later by German-born artist Katharina Grosse metamorphoses the 800 square-meter exhibition hall into a spectacular, immersive environment through which visitors can meander. The exhibition Infinity Theory by Yayoi Kusama features two of the artist’s groundbreaking installations: Infinity Mirrored Room–The Souls of Millions of Light Years Away (2013) and Guidepost to the Eternal Space (2015). 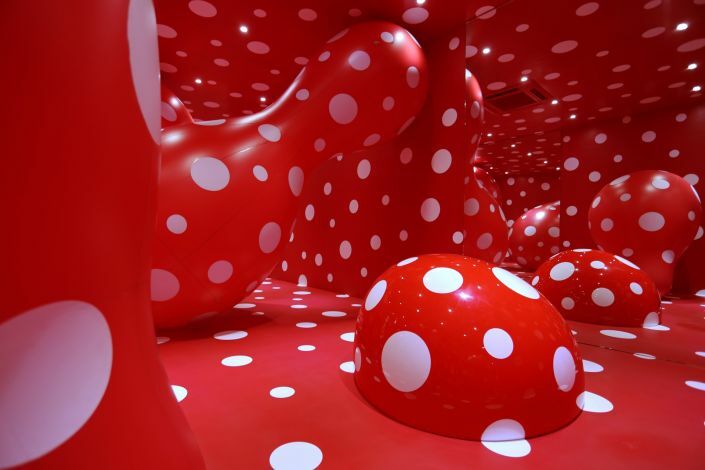 A slide film Walking Piece (1966), one of Kusama’s earliest works, compliments the installations. The first large-scale exhibition of Rirkrit Tiravanija in Russia presents a series of interconnected participatory projects that form a dialog with the history of the Soviet Modernist building Garage inhabits, as well as with popular activities that the artist experienced and envisaged in the city, such as ping-pong, producing self-styled t-shirts, and eating pelmeni (the quotidian Russian dumpling). You will also be able to see the Moscow underground art scene of the 1970s and 1980s at George Kiesewalter’s Insider. It is the first exhibition that features the artist’s documentary archive photographs, which are now part of Garage Archive Collection. Especially for the museum’s opening, “typical” 1960s characters were created by Teens Team. Based on literature, cinema, and art, as well as written histories, photo archives, and interviews with witnesses, this work shows the time when Vremena Goda—the restaurant that originally occupied the building—was a fashionable destination, which was the era of their grandparents’ youth. Visitors will also see four current Field Research projects that are presented at various stages of development: Saving Bruce Lee: African and Arab Cinema in the Era of Soviet Cultural Diplomacy (A Prologue) by Koyo Kouoh and Rasha Salti, Black Square XVII by Taryn Simon, This is Cosmos by Anton Vidokle, Face-to-Face: The American National Exhibition in Moscow, 1959/2015 by Тhe Museum of American Art in Berlin, as well as the long-term research initiative by Garage Archive Collection –The Family Tree of Russian Contemporary Art that allows learning more about history of Russian art from the mid-20th century on. The project consists of a series of closed-door roundtable discussions between specialists, an interactive installation and exhibition of documents, a program of public discussions and a screening program. In addition, you will see Erik Bulatov’s two monumental paintings—installed on a nine and a half meters high structure in the entrance of the Museum—inviting guests to venture inside and discover the possibilities of art. This is the first time such a large-scale artwork by Bulatov has been commissioned in Moscow. The most extensive retrospective exhibition of Vladislav Mamyshev-Monroe’s oeuvre. 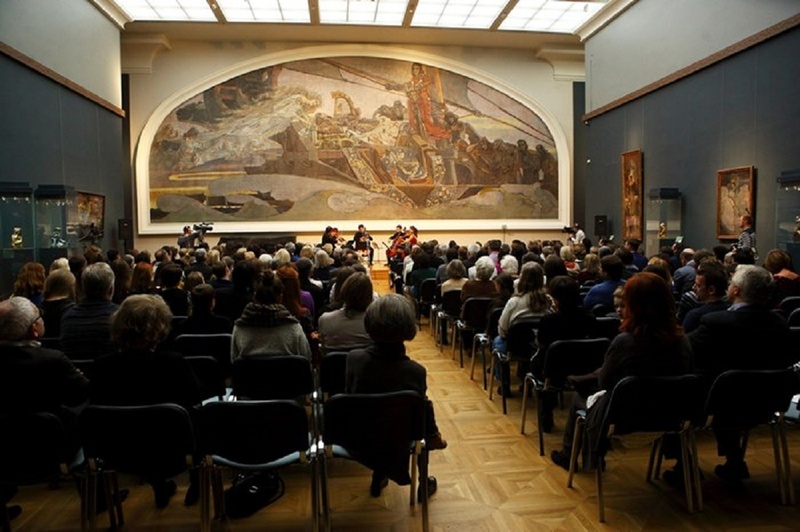 The display is based on the paper and digital archive of the artist, his works from national and private collections, as well as many artefacts connected with his personality kept by his friends, fellow artists, and acquaintances. Vladislav Mamyshev-Monroe is the master of impersonation: with truth-to-life and a good deal of irony, he explored through his own experience and personality a whole pantheon of the world history and culture (Marilyn Monroe, Adolf Hitler, Lyubov Orlova, Fyodor Dostoevsky, Brigitte Bardot et al.). 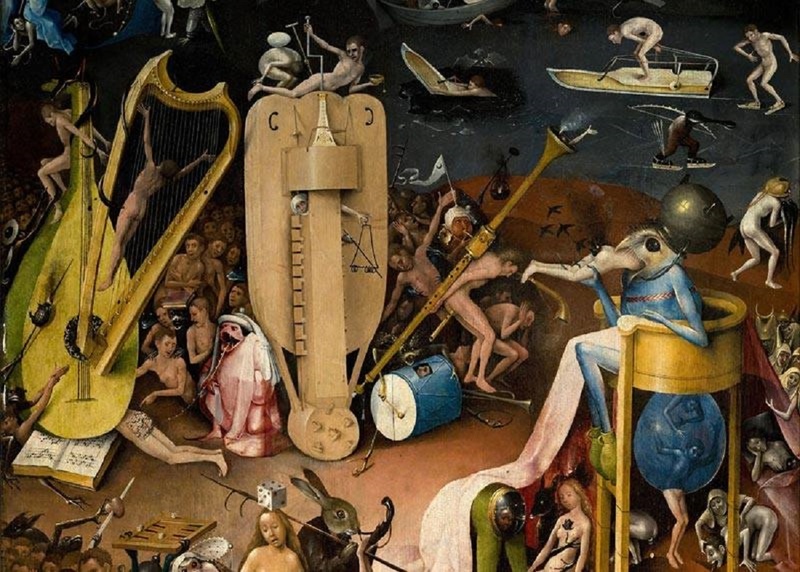 The exhibition seeks to structure the materials preserved with greatest accuracy, to show the stages of the artist’s career, all this without distorting the author’s initial idea or giving his oeuvre a new meaning. The Archive M project is essentially the basis for future interpretations presented in the exhibition format.